Helmet, repair kit (with tube, tire lever, multi-tool and hand pump), lock. are free with rental. Road bikes and Hard Tail mountain bikes have 2 water bottle cages. Triathlon (TT) and Full Suspension mountain bikes have one water bottle cage. Aero bottle systems and electronics are not provided. CO2 inflators are NOT provided. We can, however, supply CO2 cartridges. Standard Bike Works water bottles are available at 50% off with reservation. shorts, cycling computer, front or rear hydration systems). of these bikes, please visit the manufacturer’s website. Tuesday, the rental now becomes a 2 day rental. Damage from $101-400 is covered at 40% of cost of parts and labor. Mid-Level performance road bikes. Typically Shimano 105 Components. Upper-end performance road bikes. Typically Shimano Ultegra components. Aerodynamic race machines. Designed for to remain in aero position. Larger tire road bike, ideal for touring and geared for extended climbs. Perfect hard-tail mountain bike capable of navigating the intense Hawaii terrain. Full suspension bikes intended to defeat all obstacles that stand in its way! In need of speed? Our race wheels will give you the aero advantage you desire! Touring made easy. Leave your pannier at home and enjoy the ease of a BOB trailer! Rentals must be picked up at least 1/2 hour before store closing. Mon-Sat by 5:30, Sun by 3:30. Rates are based on a 24 hour rental. Rental items must be returned on the reservation end date you select. A reservation holds a bike for the exact dates you select. If you select a single day use, the rental will be due back that day. If you desire to have a bike from one day until the next, it MUST be indicated so by selecting those dates on your reservation. You will be asked to enter credit card information to make your reservation. A processing fee of $1.00 will apply. Your credit card will not be charged for the full amount until you return the bike(s), and you may choose your method of payment at that time. In order for us to assure we are able to allocate the exact bike you reserve, we have a policy in place that does not allow any reservation to be made earlier than 90 days from the reservation start date. 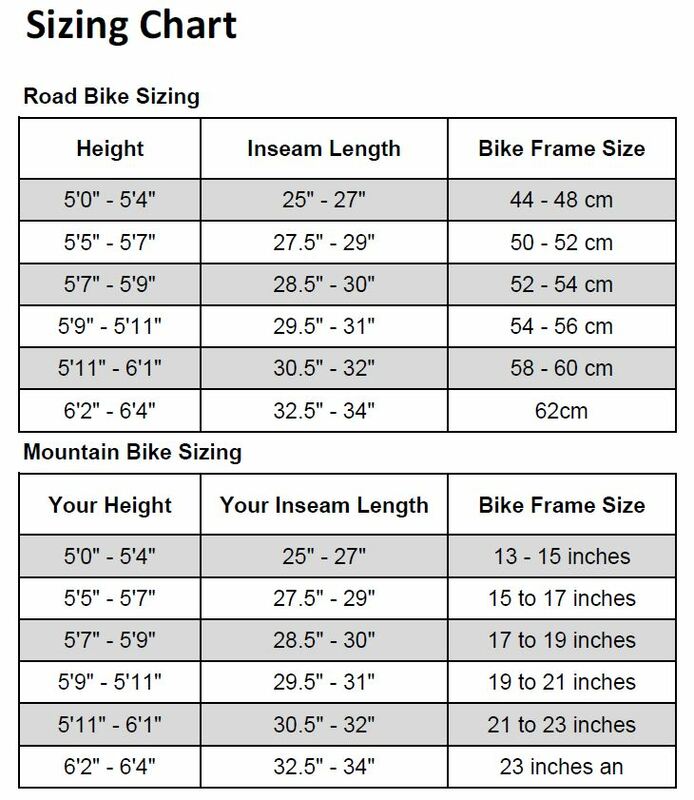 Please understand, bikes are subject to change, but we will guarantee comparable size and quality. Standard Rental: 48 hours prior to rental. Minimum 1 day charge for failure to notify. Lavaman Rental & Xterra Hawaii Island : 2 Weeks prior to rental. Minimum 4 day charge for failure to notify. Ironman 70.3 Rental: 2 Weeks prior to rental. Minimum 4 day charge for failure to notify. Ironman Rental: 2 weeks prior to rental. Minimum 7 day charge for failure to notify. Failure to return a bike on your return date will result in an additional $60 fee. Lavaman Waikoloa and Xterra Hawaii Island: 4 Day minimum Rental during race week for advance reservations. Ironman 70.3 Hawaii: 4 Day minimum Rental during race week for advance reservations. Ironman World Championships: 7 Day minimum Rental during race week for advance reservations. Please remember Bike Works will be closed race day so we will not be able to accept rental returns. There is a 2 week cancellation policy during race weeks. Bikes rented at the Kona location MUST be returned to the Kona location. ©2019 BikeWorksKona, All Rights Reserved.